Stretching over 2,600 hectares, the Parc de l’Orangerie is Strasbourg’s largest and oldest public park and the principal attraction of the city’s northeastern Orangerie neighborhood, or European Quarter. The tranquil, flower-lined gardens were created in honor of Napoléon’s wife Joséphine (although the empress never visited the park) and were laid out in 1804 by André Le Nôtre, who was best known for designing the gardens of the Palace of Versailles. One of the Orangerie’s principal landmarks is the Europe Parliament building, which fronts the northwest entrance to the park and has served as the seat of the Council of Europe since 1977. It’s an impressive sight, lined with flags from the EU’s 28 member states. Additional highlights of the park include the Joséphine Pavilion, a small zoo and stork sanctuary, a rowing lake and several playgrounds, as well as a network of walking and cycling trails. 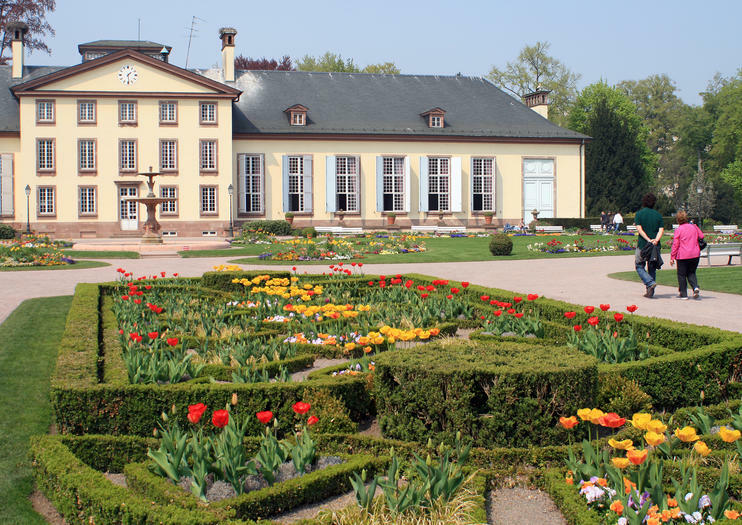 The Orangerie Park is located a mile northeast of Strasbourg’s Grande Ile and can be reached by tramline 6 from the city center. Admission to both the park and zoo is free. Wind your way through the streets of Strasbourg and take in the views from the back of a pedicab! Enjoy a fun introduction to the city with a 1-hour sightseeing tour and choose between two equally memorable itineraries. Explore the cobblestone lanes and canal ways around La Petite France and the Tanner’s Quarter, taking in highlights like the Covered Bridges, Notre Dame de Strasbourg and Le Palais des Rohan. Alternatively, pedal around the modern buildings of the European district and the scenic pathways of the Parc de l’Orangerie. Zip around Strasbourg aboard a comfortable, eco-friendly pedicab and take in the sights on a private 80-minute tour. Explore the Old Town, including the Petite France, the Tanner’s Quarter and the Covered Bridges; admire landmarks such as the Strasbourg Cathedral and the Palais des Rohan in the Neustadt; then cross the river to visit the European district and Parc de l’Orangerie.